Pantomimes have become a focal part of our Christmas festivities and every year we flock to see a classic fairytale being turned into a spectacular stage production. Cinderella at the Hippdrome certainly did not disappoint! Performances from a star studded cast, and an amazing production featuring glamorous costumes. The audience are certainly in for a treat with this year’s production. Hearsay star, Suzanne Shaw was perfect for the Cinderella role. Her sweet personality and stunning vocals brought to life the much-loved Disney princess. Her ball gown would be every little girls dream princess dress. Alongside Cinderella was Strictly Come Dancing finalist, Danny Mac who played the dashing Prince Charming. and he was exactly that. Oozing charm and good looks, he captivated the audience with his impressive samba moves, illustrating exactly how he danced his way to the finals of Strictly Come Dancing last year. Strictly fans will love the connection made with the popular TV show, including the strictly ball as the finale. Soul diva Beverly Knight starred as the Fairy Godmother, this was her debut role in pantomime. I’m sure everyone in the audience found this difficult to believe as she delivered her role with confidence and at times delivered a truly magical performance when interacting with her fellow performers. She blew the audience away with her incredible vocals which filled the auditorium and the show featured many popular songs which were delivered with precision. It came as no surprise that firm panto favourite, Matt Slack returned to the stage at the Hippdrome. This time he played Cinder’s best friend, Buttons. He was welcomed to the stage with excitement and anticipation by the Birmingham audience. Clearly, he has built up a rapport with the local audience and I am sure there would many more fans after each of his performances. He went above and beyond his role, showcasing his array of talents from comedic impressions to singing and dancing. There was plenty of hilarious and spontaneously funny moments including a musical rendition of him telling the Fairy Godmother about the last date he went on. This section clearly delighted and captivated the audience and featured many popular tunes with a snippet of technology related humour from his Google Alexa. He did a superb job of connecting all the people of stage and kept the atmosphere going throughout the whole performance. Definitely the star of the show and a clear favourite with the audience. 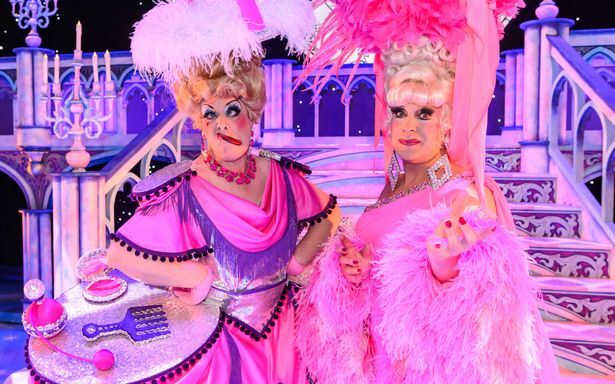 Ceri Dupree and David Dale played the fabulous Ugly Sisters. In true panto style they portrayed the role perfectly and there were no less than 19 costume changes for this pair. Each one more ridiculous than the previous, they were suitably disliked by the audience with the traditional boo’s from the audience at times and laughter at their sheer arrogance and bad taste. The whole show provided a refreshing change from your traditional Cinderella story which the audience seemed to love. A real stand-out wow moment from the production was the breath-taking horse and carriage scene. During which the horse and carriage appeared to elevate above the stage, delivering Cinderella to the Ball in true style! 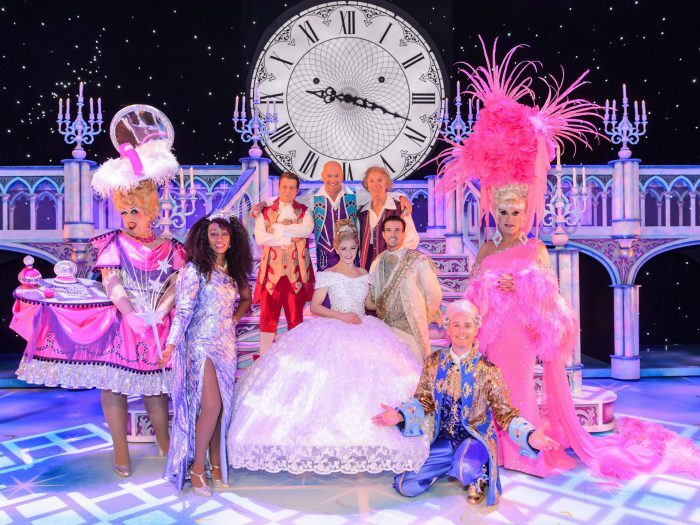 Cinderella is a heart-warming, laugh out loud, outstanding show and is an absolute must-see at the Hippodrome. It’s on until 28th January so grab your tickets now.